The University of KwaZulu-Natal shared a beautiful compilation of three mothers celebrating their daughters’ graduation - and it will bring you to tears. The bond between a mother and daughter is unbreakable. Every moment of that bond is filled with love, pride, and joy. Being a mother is not easy - she must protect and teach important lessons that will prepare her children for a world where they will face many obstacles. In many South African families, a daughter or son is the first to get through university, the first to conquer the corporate world, and the first to step up above the poverty line. Mothers work tirelessly to put their children through university and the day they graduate is one filled with so much pride and joy. 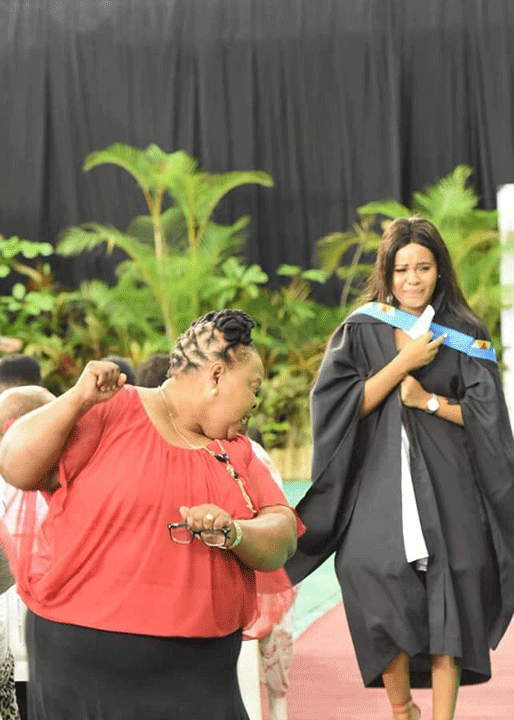 The University of KwaZulu-Natal has been hosting their graduation ceremonies and put together a video of mothers dancing and celebrating their daughters’ graduations.